LeAnn Siebenaler, 78 years, of Edgerton, passed away Wednesday, August 15, 2018 at Park View Nursing Center, Edgerton. LeAnn was born August 24, 1939 in Bryan, Ohio, the daughter of the late J.T. and Lucille “Tootsie” (Weber) Brown. She was a 1957 graduate of Bryan High School. She married Clair L. Siebenaler on January 18, 1958 in Blakeslee, and he preceded her in death on December 27, 2002. LeAnn worked as a Librarian at St. Patrick Catholic School, Bryan, retiring in 2002. She was a member of St. Patrick Catholic Church, Bryan. 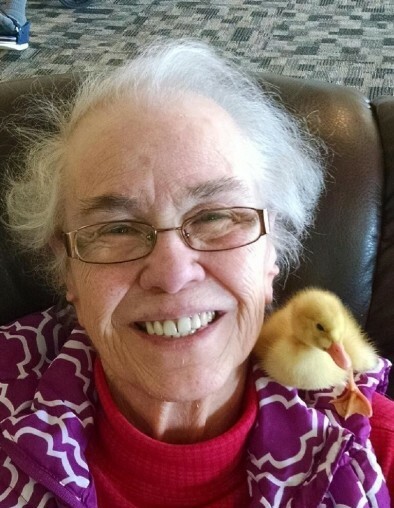 LeAnn enjoyed collecting lighthouses and was an avid OSU Buckeye football fan. She loved the time she was able to spend with her family and especially her dog, Brutus. Surviving are her nine children, Kevin (Joette) Siebenaler of Pioneer, Ohio, Kim (Martin) Andries of Springboro, Ohio, Kasey (Sarah) Siebenaler of Peoria, Arizona, Kris (Steve Sabo) Siebenaler of Defiance, Ohio, Kreg (Janelle Ridgway) Siebenaler of Edgerton, Ohio, Koleen (Jim) Fitzpatrick of Hamilton, Indiana, Karol (Kevin) Eicher of Seguin, Texas, Kirk (Jenny) Siebenaler of Charlotte, North Carolina, Kyla Nowak of Las Vegas, Nevada; 17 grandchildren and 5 great-grandchildren. She was preceded in death by her parents, husband, Clair and one sister, Helen Whitman. Visitation for LeAnn Siebenaler will be held Sunday, August 19, 2018 from 2:00 – 6:00 p.m. in the Oberlin-Turnbull Funeral Home, 206 North Lynn Street, Bryan, where Rosary will be recited at 5:45 p.m. Sunday evening. Funeral Mass will take place at 10:30 a.m. Monday, August 20, 2018 in St. Patrick Catholic Church, 610 Portland Street, Bryan with Father David Tscherne officiating. Interment will follow in St. Joseph Catholic Cemetery, Blakeslee. Those planning an expression of sympathy are asked to consider memorial contributions be made to the Williams County Humane Society, 09464 County Road 13, Bryan, Ohio 43506.